Bone density testing is critical for the early diagnosis of osteoporosis and osteopenia, conditions of diminished bone tissue. 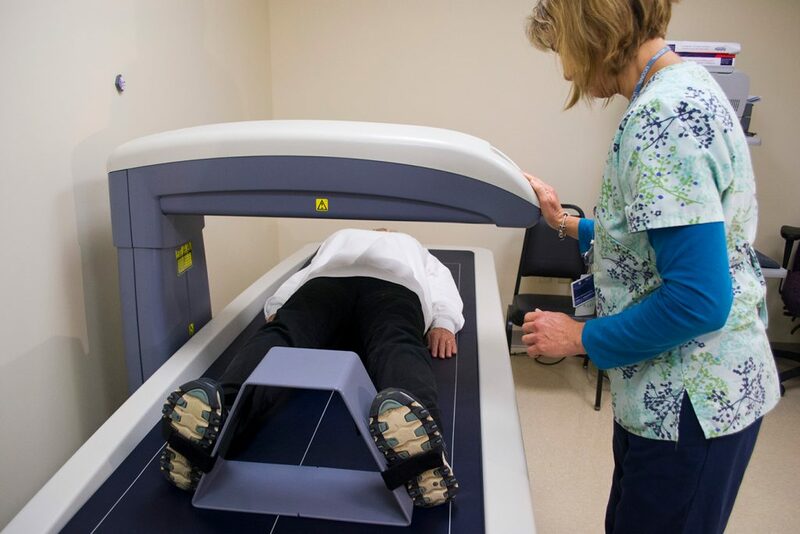 At the UConn Center for Osteoporosis, we use a radiological test called a DXA (Dual Energy X-ray Absorption), the “gold standard” for bone density testing. It is an outpatient test that is not painful. The text can calculate the density of bone and creates a chart that compares that patient's density to what the density should be. Density is the amount of calcium found in the bone. The higher the density the stronger the bone is. We can also perform vertebral fracture analysis to look for spine deformities. Because we are a university hospital, our physicians are involved in research on the treatment and prevention of osteoporosis. We maintain “research quality” testing standards to ensure our patients receive the most accurate test results possible. Call today to schedule a bone density test, 860-679-3120.